An XSEDE-allocated researcher needs to prepare data for analysis, an activity that may include selecting, cleaning, supplementing, integrating, formatting, and modeling data. 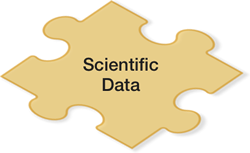 Researchers should be able to gather, manipulate, translate and organize their data as needed for data mining, modeling or analysis activities. Data preparation is the first step in data analysis, which is one of XSEDE's core services.